This section outlines the technology and key features Greenland Systems uses to provide bespoke, integrated renewable thermal energy solutions for the Industrial and Commercial sectors. 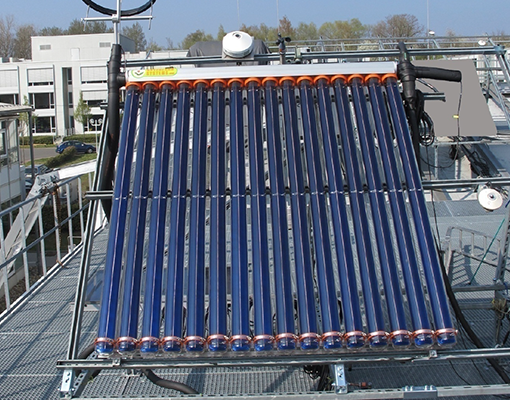 Greenland Systems Industrial grade solar technology improves upon the desirable features of traditional domestic solar water heaters in order to achieve the ultra-high temperatures required by process industries. These high temperatures (>100 degrees C) were not previously practical outside of concentrating systems. 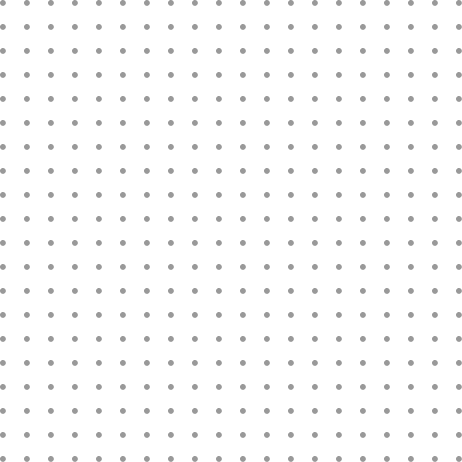 We have developed a solution which avoids the limitations typically inherent of both technology types. This ensures that convective, conductive and emissive losses are absolutely minimised. This results in our premium, industrial grade GLX100-HT solar collector having a stagnation temperature exceeding 350 degrees Celsius. The entirely enclosed design also ensures no possibility of corrosion to the working parts, unlike generic ‘domestic grade’ twin wall evacuated tubes. Our focus has been to engineer an industrial grade collector with high thermal efficiency and heat transfer. 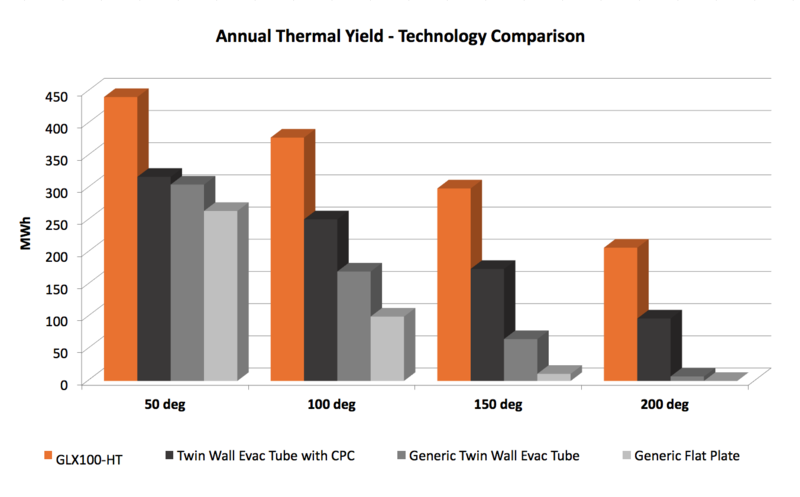 This is why our GLX evacuated tubes are far superior to the generic "twin wall" design, which suffer higher thermal losses due to the need to pass solar energy through multiple glass and aluminium layers while exposing the heat pipe to ambient conditions. 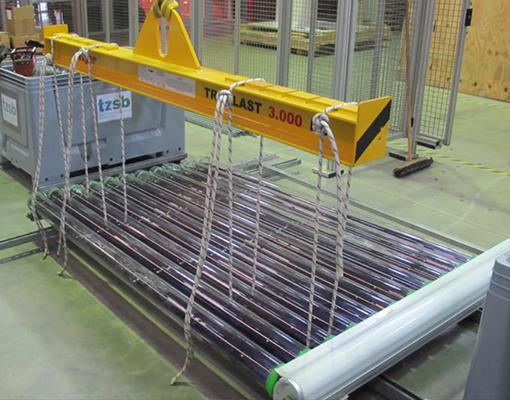 The Greenland System Solar Tube is manufactured using high strength, heat treated 3.0mm boron glass, using the heat pipe principle. The German Engineered Tinox fin is sonically welded to the heat pipe, for optimum heat transfer. The header design ensures low fluid pressure drop in large fields, while allowing for hydraulic separation and multiple fail safe systems to be built in. The enhanced performance curve means a superior energy yield for all application temperatures, in all climates and in both direct and diffuse sunlight. 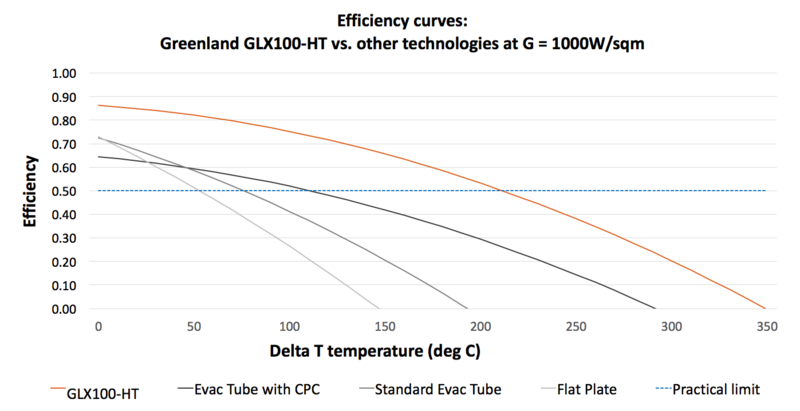 For example at an operating temperature of 150 degrees Celsius, the GLX100-HT collector provides 5x more annual thermal energy compared to standard evacuated tubes, and 2x more than for systems comprising evacuated tubes with CPC reflectors. The increased high temperature efficiency and superior annual yield of the GLX100 system results in the lowest possible $/Watt and $/MWh of heat delivery. As highlighted to the right, Greenland Systems technology combines the ideal features of a simple, static, planar solar field design and the high-end capability of concentrators, without any of the inherent limitations. Please get in touch below if you would like any further technical information or to discuss working together. Fill in the form to find out how we can help you.